Muslim players in Barcelona – Football is an universal sports. Many people around the world play football or soccer, including muslim players. There are many muslim football players in Europe, some of notable example are Mesut Ozil, Paul Pogba, Franck Ribery and Nicolas Anelka. What about muslim players in Barcelona? There are some Barcelona muslim players. Barcelona known as one of the best clubs in Spain, Europe or even in the world. Barca has won 24 La Liga and 5 UEFA Champions League. They also hold record for most win in Copa del Rey competitions. Many players around the world dream to play in Barcelona, including Islam players. Some notable example of Barcelona muslim players is Eric Abidal. He is known as main left-back when Barcelona won 2010-11 Champions League. Two African player, Seydou Keita and Yaya Toure also known as famous muslim player who ever play in Barcelona. They both shared same position, as a midfielder and become key member when Barca won six trophies in 2009. There are some muslim footballers in Barcelona from time to time. Below is list of Barcelona muslim player and his personal detail (birth date, position, club career, honours). 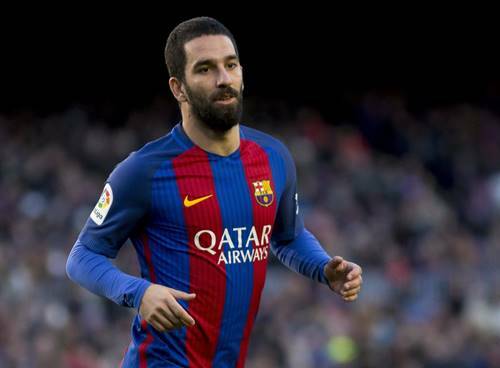 Arda Turan is Turkish professional footballers who play in Barcelona. His position is midfielder or winger. Turan was born on Fatih, Turkey at January 30th 1987. He is widely known as one of the best Turkey players in the modern era. Before his spell in Barca, Turan spend his career in Galatasaray and Atletico Madrid. He also become one of few Turkish who gained more than 100 caps for Turkey national football team. Currently he loaned out in Istanbul Basaksehir, one of club in Turkish Super Lig. Many speculation about what is Ousmane Dembele’s religion. But according some reports, Dembele is a muslim. Ousmane Dembele is footballer from Vernon, France. He steal spotling as promising wonderkid in his days in Rennes and later Borussia Dortmund. After succesful career in Ligue 1 and Bundesliga, Dembele transfered to La Liga by Barcelona. Dembele was brought by Barca with 105 euro fee, making him one of the most expensive footballers ever. Dembele play as a winger or forward. That’s all of muslim footballers in Barcelona from past to the current days. Some muslim players like Arda Turan, Ousmane Dembele, Eric Abidal, Seydou Keita and Yaya Toure is known play for Barcelona, some have left and some still play until now.